Print has a few fold marks. 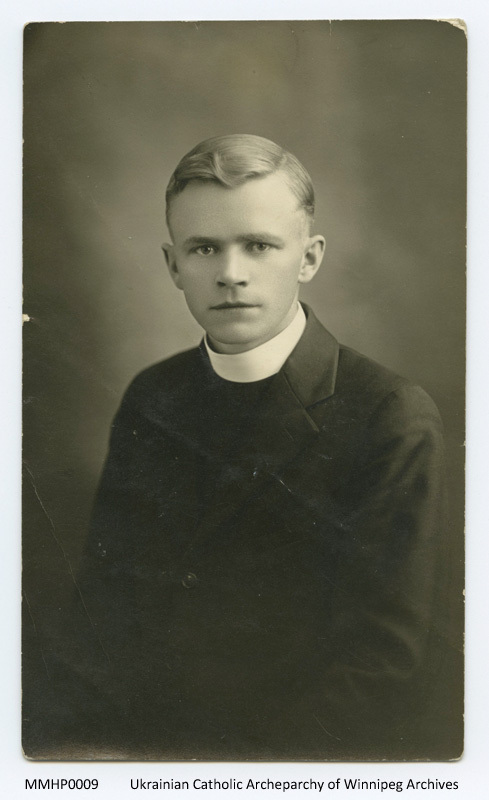 Reverend Antin Luhovy, twenty-eight years old, Winnipeg?, Manitoba?, July 15, 1927. Date and photo studio are typed on the back: "The Star Photo Studio, 400 Main St., Winnipeg, Manitoba".